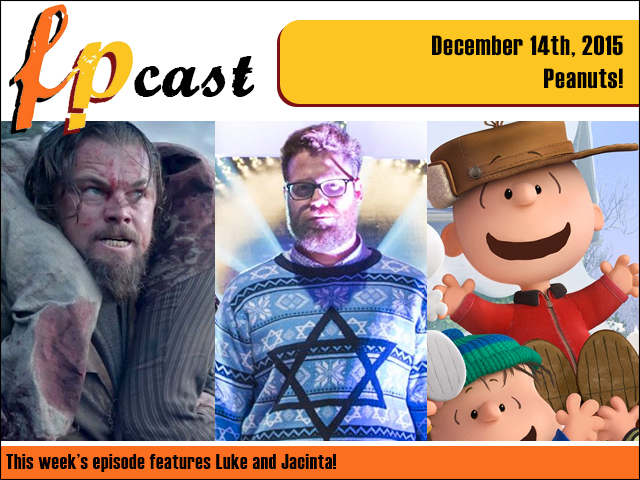 Fruitless Pursuits: FPcast for December 14th 2015: Peanuts! In this week's jam-packed episode we share early reviews of The Revenant and The Peanuts Movie, plus our holiday jam is The Night Before. Plus casting news, we look at a whole bunch of trailers including X-Men: Apocalypse and Ninja Turtles 2, and we play Yo-Kai Watch. And more! Let us come down your chimney!